This smells just like the yummiest apple you have ever had the privilege of eating and then some. 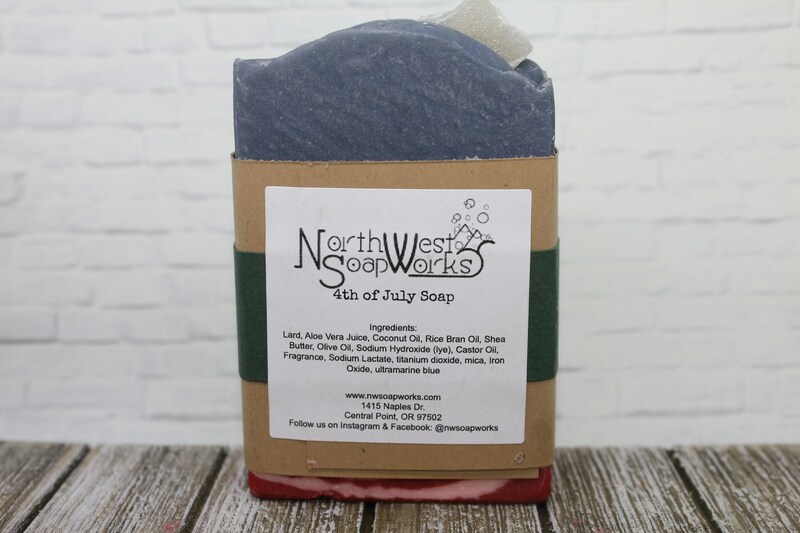 It has hot and spicy top notes of cinnamon and cloves rounding down to the mellow scent of red apples. 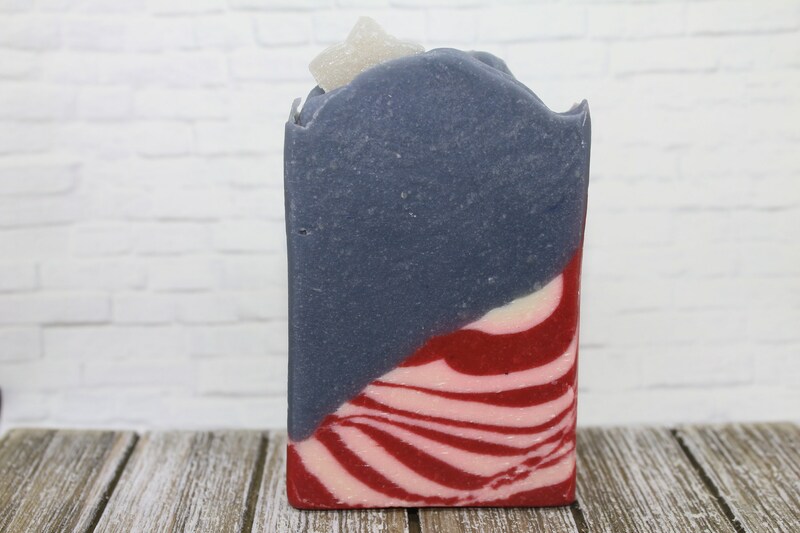 I made this for some independence day contests and just because it was an excuse to make fun soap! 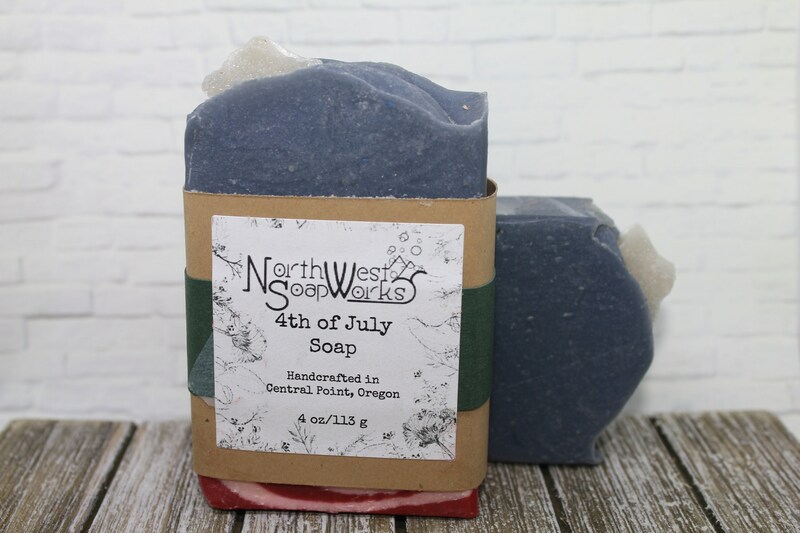 Ingredients: Lard, Aloe Vera, Coconut oil, Rice Bran Oil, Shea Butter, Olive Oil, Sodium Hydroxide (Lye), Castor Oil, Fragrance Oil, Sodium Lactate, Mica, Titanium Dioxide, Iron Oxide, Ultramarine Blue.